With millions of selfies uploaded to the internet every day, the humble selfie camera is putting in some serious work. It’s little surprise that manufacturers are pouring lots of money into making your selfie-snapping as easy and enjoyable as possible, while trying not to sacrifice the design of the phone itself. But when did our addiction to selfies begin, and which phone did it start with? Believe it or not, Apple had nothing to do with it, and was in fact beaten to the punch by other, lesser brands. Apple has, though, gone out of its way to push the “notch” design to accommodate a selfie camera. Depending on your view, this allows the camera to be almost hidden away, or spoils the screen entirely. Other brands are working hard to avoid the need for a notch on future devices. We look back at the history of the front-facing camera, plus look towards where its future may lie. Where Did the Selfie Come From? Although it didn’t know it at the time, Sony played a major role in the inception of the selfie. In 2004, Sony Ericsson released the Z1010, one of the first commercial mobile phones with a front facing camera. However, it wasn’t intended for taking snaps of yourself, but for video conferencing. The 0.3MP camera might not turn heads now, but at the time, it was quite a talking-point. As the brand’s first 3G phone, with a mighty 32MB of storage and 2.2-inch color screen, it was a status symbol. That’s right, there’s every chance that the selfie might have been accidentally invented by a drunk Australian. When Did We All Start Saying “Selfie”? Despite the front-facing camera on Sony Ericsson’s phone, it would be some time until the feature became standard. It took Apple another six years to add a front-facing camera, which arrived with the iPhone 4 in 2010. At the time, Steve Jobs applauded it as the realization of the Star Trek-esque future he had always dreamed of as a child. We must have missed the episode where Spock uploaded 50 duck face snaps to Instagram. Maybe that was in Voyager? That spike in March 2014? That was the biggest selfie moment to date, when Ellen’s Oscar tweet went viral with a picture of her and several A-listers crowding around her phone for a quick snap. It was a watershed moment, breaking records for the most retweets, and pinpoints the exact moment when even your Mom started to use the world ‘selfie’. It was actually the year before this that the term entered the Oxford English Dictionary. Indeed, 2013 was a big year for tech slang, with “Phablet” and “BitCoin” also being added to the same dictionary. Sadly, it was also the year that “Jorts” received official recognition, and if someone offers to send you a selfie of themselves wearing jorts taken with their phablet, you should probably block them. When it come to design, the selfie camera is a challenge. With the trend towards slimmer phones, the bezel, that frame around the screen, has been slowly shrinking. That’s a problem, as it’s a handy place to stick the camera, tucked out of the way, yet still accessible. As you can see, Apple’s approach has been for the screen to slowly swallow the bezel, until the speaker and camera are relegated to an island at the top of the screen itself, dubbed the notch. Samsung, on the other hand, has slowly expanded the screen to the edges of the Galaxy S series, while the camera has been pushed further and further up the bezel. 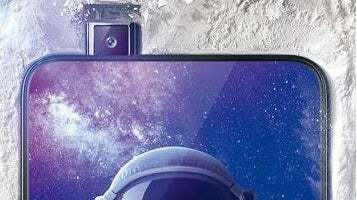 Samsung has avoided it so far, but the notch is now commonplace, with other manufacturers, such as Huawei, LG and Google following suite and imitating the Apple way. Just as with ditching the headphone jack, when Apple makes a move, the industry follows. 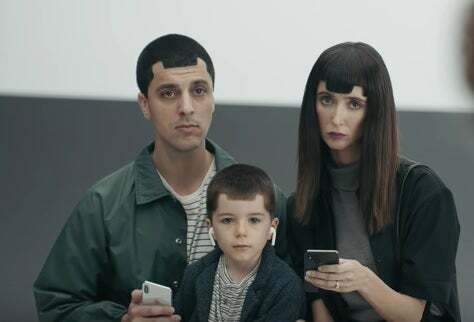 In its TV adverts, Samsung even took aim at Apple, and its customers, too, painting them as blindly following trends, to the detriment of the phone experience. Just to complicate matters even further, Apple’s iPhone X wasn’t even the first commercially available smartphone to boast a notch. That accolade actually goes to Sharp’s Aquos S2. Released on August 14 2017, three months before the iPhone X, it had a small, perfectly formed circle at the top of the screen to house the camera. Then, on August 17 2017, the Essential phone was released, a project from Android pioneer Andy Rubin. It also had a small circle in the screen for the camera. That’s right. The notch is technically an Android invention. Hole, Pop-up, Notch or Screen? The notch is one way around the issue of what to do with the selfie camera, and the hole is another (although really, lets face it, the hole is simply a small notch). There have been some other pretty innovative solutions, too. Unlike the iPhone X, the Oppo Find X and Vivo Nex’s cameras don’t yet have many imitators. 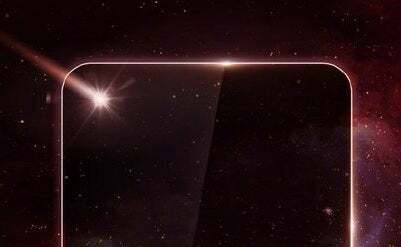 Pick up the Find X or Vivo Nex and you’ll see an almost bezel-less screen, with no front camera in sight. There’s no notch and no hole. So, what black magic is Oppo employing to hide the camera? Try to take a picture and you’ll find out. On both phones, the camera actually pops up from the top of the phone, takes a snap, and then tucks itself back into the housing for safety. It’s a somewhat Rube Goldberg approach to design, but we can’t knock it for innovation. Samsung may dodge the notch indefinitely. 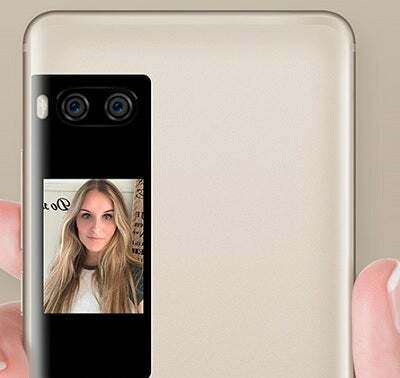 The upcoming Samsung S10 may even place the camera behind the screen itself, according to rumors coming out of a Samsung event for partners in China. Where Next for Selfie Cameras? One things for sure, the front-facing camera isn’t going anywhere. According to Samsung’s research, the average person will take 25,000 selfies in their lifetime. It’s fair to say we’re addicted to the selfie, to a fault. Want an example? In 2015, more people died in selfie-related accidents than were killed by sharks. For anyone considering taking a selfie with a shark, the odds of survival are stacked against you. So, how will phones adapt to our thirst for more selfies, combined with our need to have sleeker, thinner, more modern phones? One answer might come in scrapping the front camera altogether. Before you start breaking down into tears at the impact this could have on your Instagram, don’t despair. Some companies are experimenting with putting a second screen on the back of the phone, like the Meizu Pro 7. On this phone, a small 1.9-inch screen sits just below the back camera. This means you can line up your shots accurately, as well as take video calls and do everything else you could with a front facing camera. However, scrapping the front camera would mean an end to the Bothie, a photo of you and your best pal taken at the same time with the front and rear facing cameras. Maybe that’s not such a great loss. While it’s currently a fan of the notch, Huawei appears to have its sights set on the hole approach. 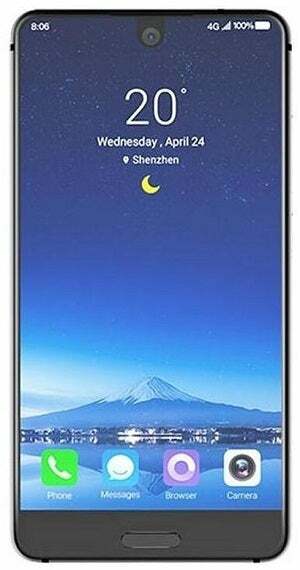 Leaked images show the Huawei Nova 4 with a hole in the top left of the display for the camera. Unlike the holes in the original Essential and Sharp phones, Huawei has managed to achieve a floating spot for the camera to poke through. It’s entirely surrounded by screen and completely independent of the bezel. The potential for a future trend of bendy phones, spearheaded by Samsung’s recent announcement, could be a whole new approach to tackling the camera, too. It’s not too hard to imagine an audience for an adjustable selfie camera that can be poised at any angle. We can also expect the camera resolution to keep on getting better. We’ve seen this focus already, on the rear camera. But the stock that most people put into the selfie camera means that there’s a demand there for superb image quality. Not only that, but check out the carriage of the morning train on your way to work, and someone will doubtless be checking their face, using their phone as a mirror. We’ve come a long way from that Sony Ericsson’s Z1010 0.3Mp camera back in 2004, but there’s still plenty of room for improvement. The selfie cam is as much a selling point for modern phones, if not more so, as call or speaker quality. The Google Pixel 3 XL has just launched, and its advertising made a big deal about the group selfie mode available on the phone. That’s unlikely to change, and no matter where the camera is, or what it looks like, our love for the selfie doesn’t appear to be fading any time soon.